5 oz. 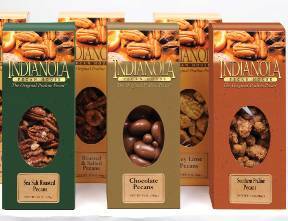 Box Pina Colada Pecans - pretend you are on an island with these tropical gourmet pecans! These tropical pina colada gourmet pecans will take your mouth on a trip to the islands! A wonderful snack for parties or for sitting in front of the television!